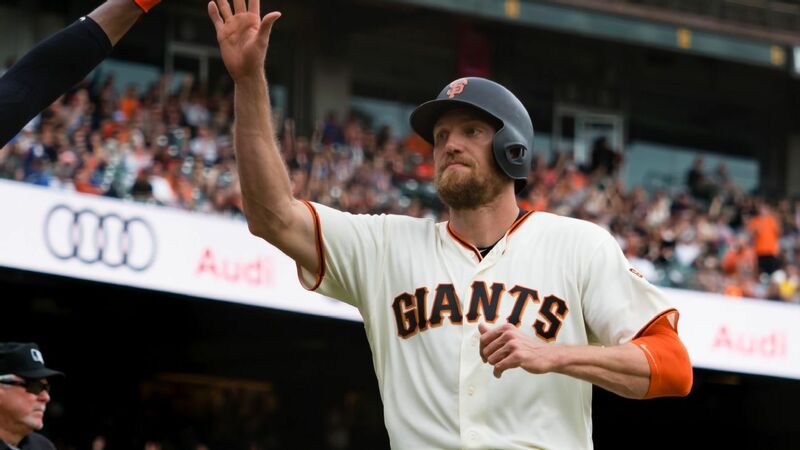 The Texas Rangers have signed outfielder Hunter Pence and infielder Matt Davidson to minor league contracts with invitations to major league spring training camp, the team announced Thursday. Pence, a three-time All-Star, spent the past six-plus seasons with the San Francisco Giants, where he was a key part of World Series-winning teams in 2012 and 2014. Pence, 35, is a .280 lifetime hitter, with 224 home runs and 877 RBIs in 12 seasons with the Astros and Phillies in addition to his time with the Giants. If added to the 40-man roster, Pence, who played near the Rangers’ ballpark in college at Texas-Arlington, would get a one-year contract that pays a $2 million salary while in the major leagues. Pence played in just 97 games last season while dealing with a thumb injury, batting .226 with four home runs, 24 RBIs and 59 strikeouts. He played winter ball this offseason. Davidson, who would get a one-year contract that pays a $1.5 million salary while in the major leagues, is also expected to train this spring for possible pitching duties, the Rangers said. Davidson pitched three times for the White Sox last season, throwing three scoreless innings. Davidson batted .228 with 20 home runs and 62 RBIs last year, including three homers on opening day at Kansas City. The 27-year-old hit 26 home runs in 2017. He has split his time between third base, first base and designated hitter.